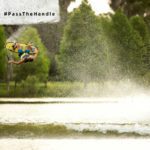 With a mission to share the passion for towed water sports worldwide, the third annual #PassTheHandle day will take place on July 24, 2016. 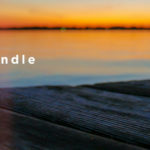 New for this year, industry members will “make the pledge” to promote this day and participate themselves by teaching a first-timer to ride, ski or tube. 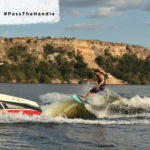 Founded by wakeboarding and water ski legend, Zane Schwenk, #PassTheHandle encourages people to get out on the water and experience the exhilarating feeling of being towed across the water. 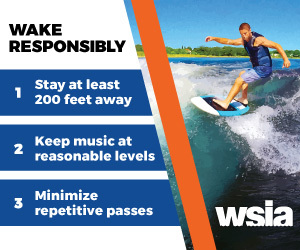 Backed by the WSIA and the entire industry, #PassTheHandle will grow participant levels by teaching people the right way to have fun and be safe on the water. 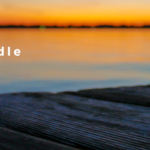 After a successful launch in 2014, Schwenk is also appreciative of the year-round support of the #PassTheHandle initiative. 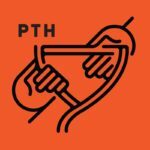 Please join in on July 24 and share your photos and videos through social media.